I love knitting for babies because the projects work up so quickly. 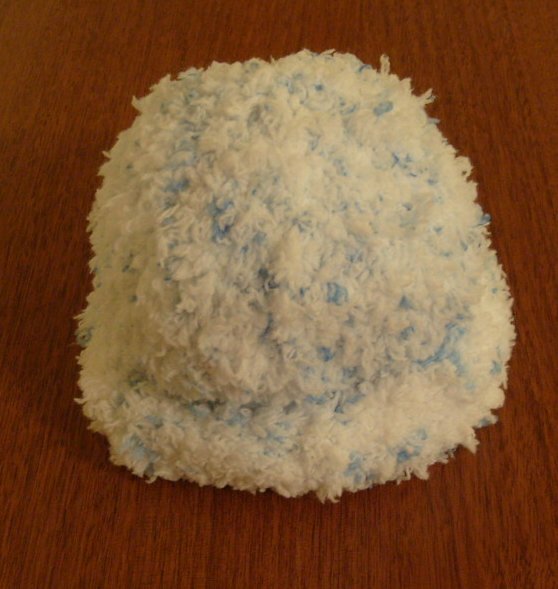 Here’s a pattern for a Fluffy Baby Hat. I used Sirdar Snowflake. I can knit about 3 hats out of one skein. Another yarn I’d like to try is Cotton Kisses by Plymouth Yarns. Knitting for babies is so fun because you can finish projects so quickly and use up single balls of yarn. Give this hat a try! I hope you enjoy it. It’s time to post some of these patterns that are roiling around in my head. So here comes the first one. Check out some of my ideas and finished objects on Ravelry. My username is nancyknit.